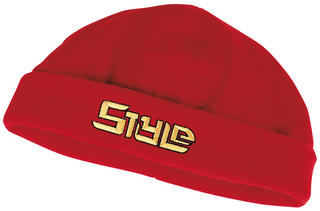 Polar Fleece Beanie - polar fleece fabric, anti-pill, 1 size fits most. Colours available - black, bottle green, charcoal, navy blue, orange, royal blue, red, yellow, purple, pink and bright green. Decoration - embroidery.